1) What is debt counselling? Debt counsellors can work independently or as part of an organisation. In terms of the Act, debt counsellors cannot be part of organisations that provide credit, debt collection agencies or credit bureaus. A consumer who is over-indebted may approach a debt counsellor directly, or he/she may be referred to a debt counsellor by his/her creditor/s or by the magistrate court. Consumers can call the NCR on 0860 627 627 to get a list of registered debt counsellors or log on towww.ncr.org.za register of registrants. - A restructuring fee of the lesser of the first instalment of the debt re-arrangement plan or a maximum of R6000.00 (excluding VAT), in respect of a consumer whose applications have been accepted in terms of 86(7) (b) or 86(7) (c). (Should a joint application be required, the fee can be increased to a maximum of R6000.00 (excluding VAT). 100% of the fee is payable at the first instalment. - Should a Debt Counsellor fail to submit proposals to Credit Providers or refer the matter to a Tribunal or a Magistrate Court within 60 business days from date of the debt review application the Debt Counsellor has to refund 100% of the fee paid by the consumer (excluding the application fee). - A monthly after-care fee of 5% (excluding VAT) of the monthly instalment of the debt re-arrangement plan up to a maximum of R400.00 (excluding Vat), for a period of 24 months, thereafter reducing to 3% (excluding VAT) of the monthly instalment, to a maximum of R400.00 (excluding VAT), for the remaining period of the debt re-arrangement plan. Payment of the monthly after-care fee is to commence in the 2nd month after the amount in 1.3.1 above has been paid. - Should the consumer withdraw from the process after completing stages 1.3 above, a fee equal to 75% of the restructuring fee as per 1.3 above is payable by the consumer. - A legal fee for a consent order of R750.00. The legal fee for the consent order may only be deducted in the 2nd month after the amount in 1.3.1 above has been paid. If the consumer’s affairs cannot be resolved through a consent order, and there are additional costs for further legal processes, these need to be separately negotiated with the client. The Debt Counsellor should be able to produce proforma invoices issued to them by their lawyers for legal services, when so requested by the NCR. - The applicable fees and related debt counselling services will be set out in an addendum to Form 16, which needs to be explained to the consumer and signed by him/her. 4) Where do you find debt counsellors? 5) How do you know you need a debt counsellor? 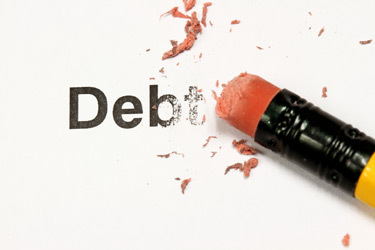 - When you are suffering under the yoke of over-indebtedness, then you need a debt counsellor. - You have judgments granted against you. 6) How does one avoid becoming over-indebted? Avoid getting more debt, rather downgrade and change your lifestyle! It is important to remember that a change in lifestyle is the first step in creating a better environment for ourselves as consumers in these challenging times. You will need to cut some things and/or make adjustments in order to stay afloat. You will find that by cutting these items out of your budget, you have more cash. You then have the option to either save that money or pay more on your account and therefore reducing your monthly debts.